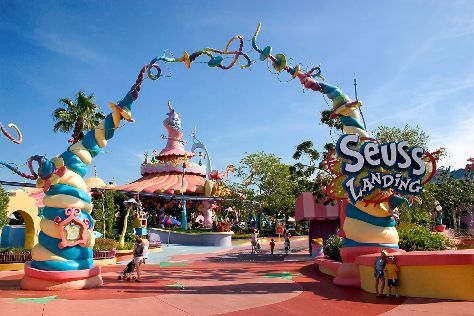 Pack the 27th (Tue) with family-friendly diversions at Universal's Islands of Adventure. Pack the 29th (Thu) with family-friendly diversions at Universal Orlando Resort. It doesn't end there: get in on the family fun at Walt Disney World Resort. To find other places to visit, where to stay, maps, and more tourist information, go to the Orlando trip planner . Use the Route module to find suitable travel options from your home destination to Orlando. In November, daily temperatures in Orlando can reach 78°F, while at night they dip to 62°F. Finish up your sightseeing early on the 29th (Thu) so you can go by car to Miami. Start off your visit on the 30th (Fri): take in nature's colorful creations at Fairchild Tropical Botanic Garden, get to know the fascinating history of Art Deco Historic District, then kick back and relax at South Beach, and finally steep yourself in history at Freedom Tower. Get ready for a full day of sightseeing on the next day: contemplate the waterfront views at Slough Slog, then appreciate the extensive heritage of Lincoln Road, and then enjoy some diversion at Lock & Load Miami. You can plan Miami trip in no time by asking Inspirock to help create your itinerary. Drive from Orlando to Miami in 4 hours. Alternatively, you can take a bus; or take a train. Plan for somewhat warmer nights when traveling from Orlando in November since evenings lows in Miami dip to 70°F. Finish your sightseeing early on the 1st (Sat) so you can travel to New York City. 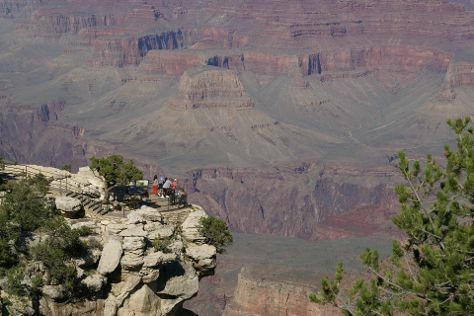 Kick off your visit on the 2nd (Sun): trek along South Kaibab Trail and then take some stellar pictures from Hopi Point. Get ready for a full day of sightseeing on the 3rd (Mon): hike along Rim Trail and then take some stellar pictures from Mather Point. To see traveler tips, more things to do, other places to visit, and other tourist information, read our Grand Canyon National Park road trip planner . Traveling by combination of tram, flight, and bus from Miami to Grand Canyon National Park takes 13.5 hours. Alternatively, you can drive. The time zone difference when traveling from Miami to Grand Canyon National Park is minus 2 hours. Traveling from Miami in December, expect Grand Canyon National Park to be colder, temps between 45°F and 15°F. Cap off your sightseeing on the 4th (Tue) early enough to travel to New York City. New York City is known for museums, nightlife, shopping, historic sites, and parks. Your plan includes some of its best attractions: go for a walk through Central Park, appreciate the history behind 9/11 Memorial, enjoy breathtaking views from Empire State Building, and browse the exhibits of The Metropolitan Museum of Art. For where to stay, traveler tips, maps, and tourist information, read our New York City trip planner . Traveling by combination of bus and flight from Grand Canyon National Park to New York City takes 12.5 hours. Alternatively, you can do a combination of bus and flight; or drive. The time zone difference moving from Mountain Standard Time to Eastern Standard Time is 2 hours. Traveling from Grand Canyon National Park in December, you can expect nighttime temperatures to be much hotter in New York City, with lows of 36°F. Wrap up your sightseeing on the 8th (Sat) to allow time to travel back home.